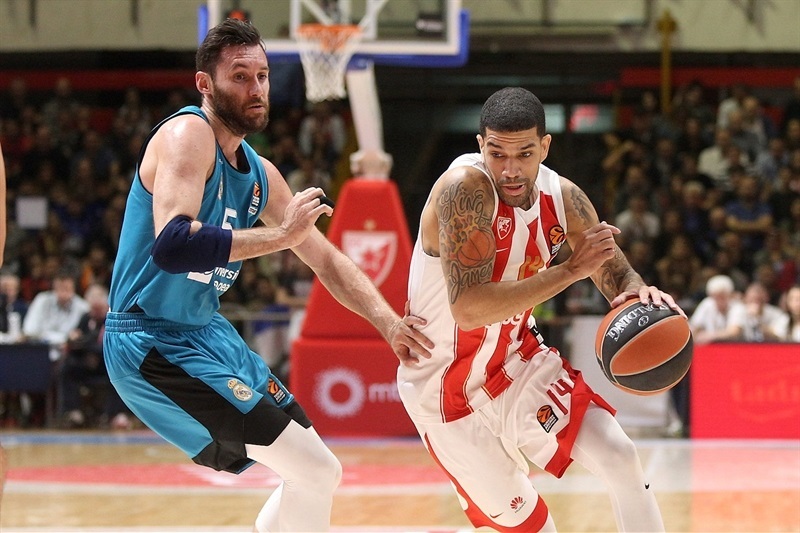 In a thriller that went down to the wire, Luka Doncic hit a three-pointer with 0.9 seconds remaining to lift Real Madrid to a dramatic 79-82 road win at Crvena Zvezda mts Belgrade. The win improved Madrid to 18-11 in fourth place in the standings, while already eliminated Zvezda dropped to 11-18. 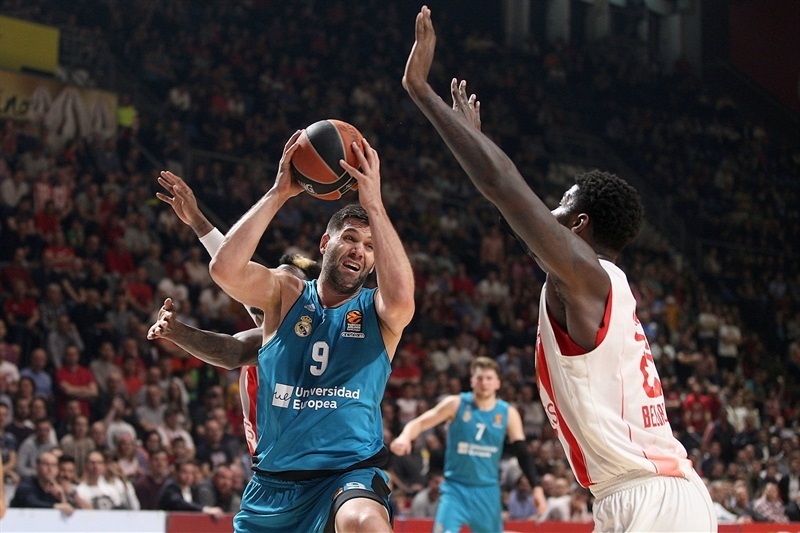 Madrid led for the first 33 minutes of the game, but a 15-0 run that bridged third and fourth quarters put Zvezda in front. The teams traded leads, and it seemed the game might be heading to overtime after Alen Omic’s dunk tied it at 79-79 with 6 seconds to go. But Doncic hit a game-winning triple in the final second to give visitors an important win in the race for the home-court advantage in the playoffs. 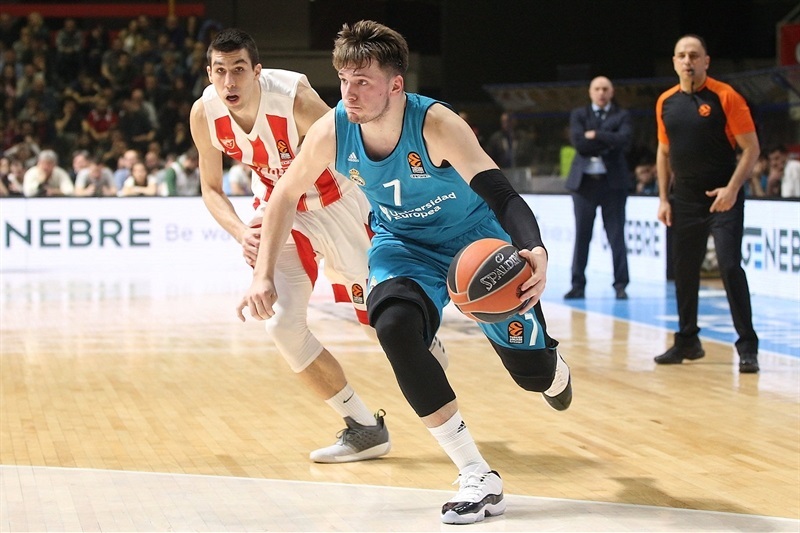 Doncic finished the game with 24 points, 9 rebounds, 4 assists and 3 steals. 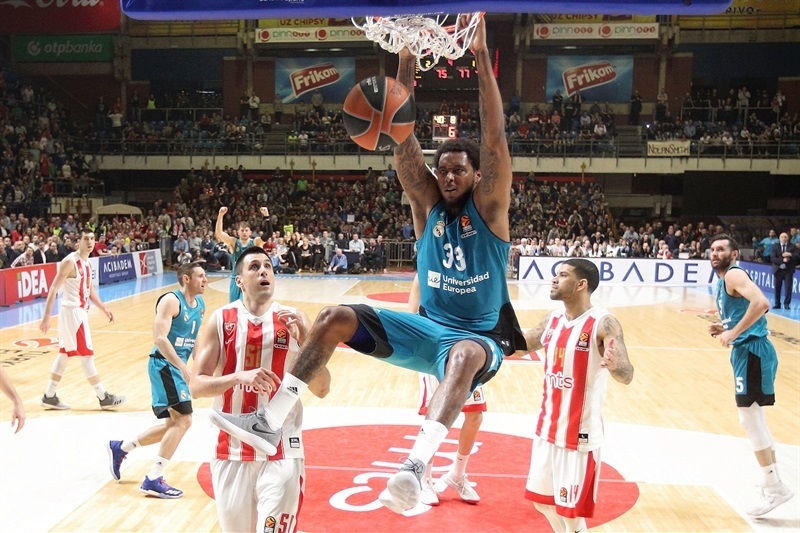 Felipe Reyes collected 14 points and 9 rebounds, and Trey Thompkins scored 11 in victory. 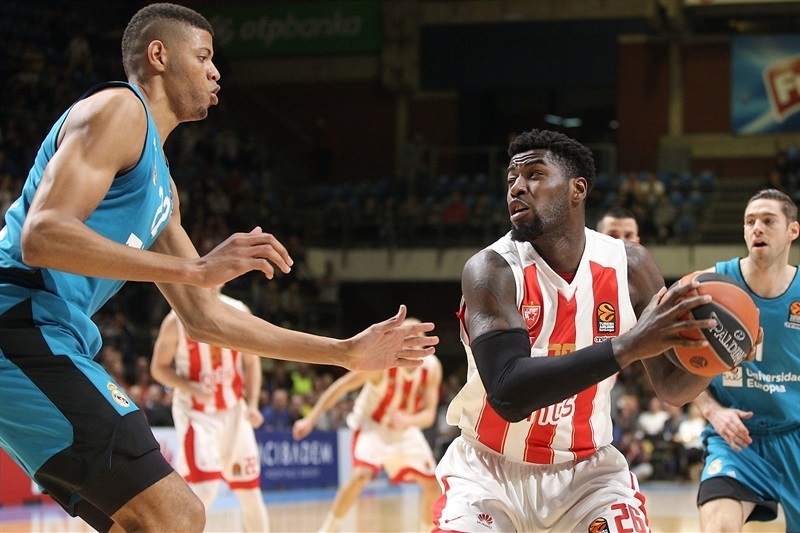 Omic had 25 points and 10 rebounds for Zvezda, James Feldeine netted 18 points with 9 assists, and Ognjen Dobric scored 12 in the losing effort. 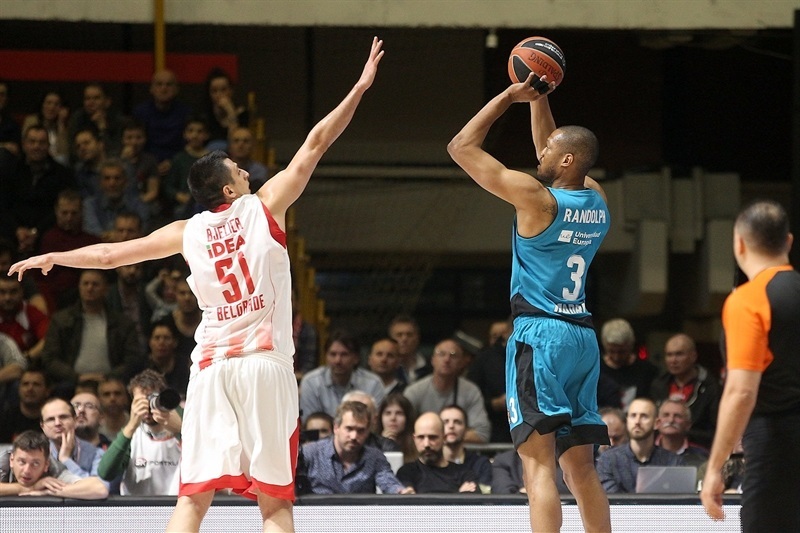 Madrid stormed out of the gate scoring the first 10 points behind Doncic, who had a short jumper, a triple, and a bounce-pass assist for a Fabien Causeur’s layup. 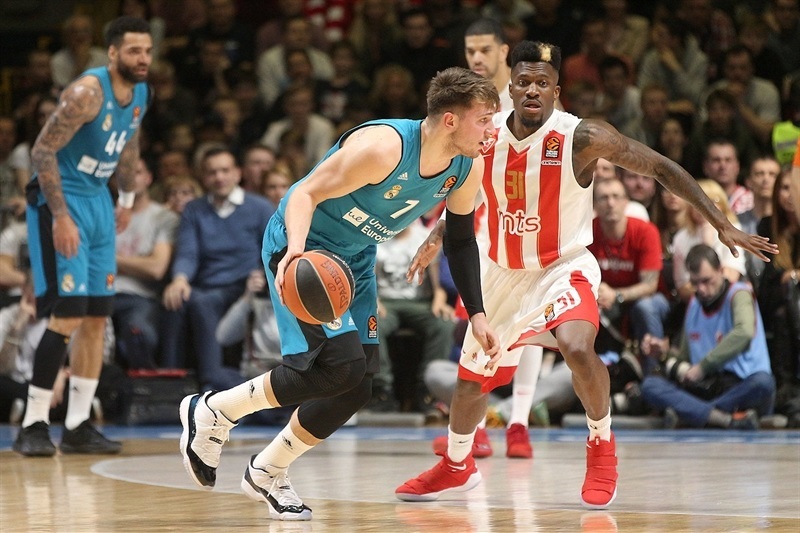 Zvezda needed more than 3 minutes to open its account, and Dejan Davidovac had a layup-plus-foul that cut it to 7-12, but Doncic scored 5 and Reyes had 6 close-range points as Madrid opened a 13-23 margin. Feldeine and Thompkins traded triples in the final 6 seconds of the first quarter to make it 20-27 after 10 minutes, and triples from Chasson Randle and Thompkins extended it to 24-35 early in the second quarter. But Omic had a put-back and a runner, and with contributions on both ends of the floor from Dobric, Zvezda cut the deficit. Omic scored 10 second-quarter points, and the visitors went into the break with a 39-43 lead. Doncic opened the third quarter with a triple, before a put-back from Reyes and a runner from Causeur made it 43-53. Mathias Lessort answered with a pair of baskets, and a three-pointer from Feldeine halved the deficit, 50-55. 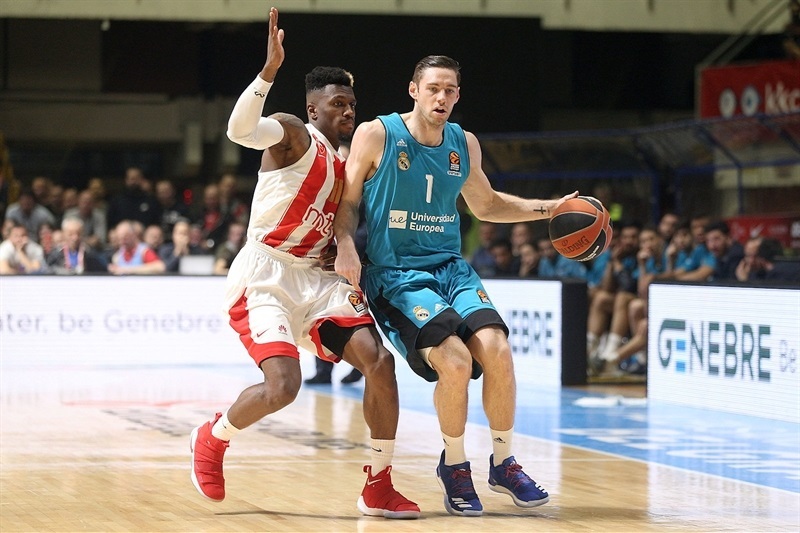 A brief scoreless period followed, after which Anthony Randolph hit a three-pointer, but Dylan Ennis scored 5 points to make it 57-64 after 30 minutes, and Zvezda scored the first 13 points of the fourth quarter to take its first lead of the night. Omic had two baskets inside, Dobric nailed a transition triple, before Feldeine had a runner and a fastbreak layup that opened a 70-64 lead. 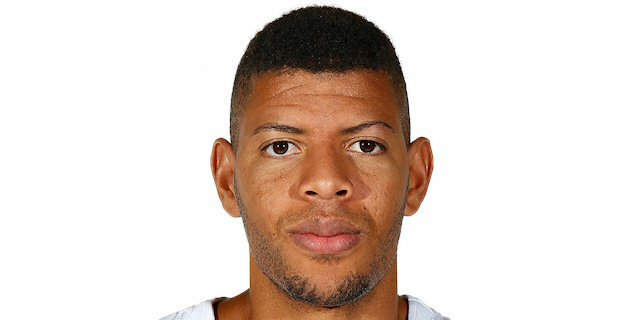 However, Randle hit a triple and Tavares converted a three-point play as Madrid restored a 70-72 edge. Feldeine knocked down a three, but Tavares scored a pair of layups on consecutive possessions, and a dunk by Thomkins with 40 seconds to go made it 75-79. But Feldeine hit a runner with 26 seconds left, followed by Zvezda forcing a turnover then tying the game on Omic’s dunk. 79-79. Madrid had the final 6 seconds, Doncic took the inbound pass, shook off Dobric with a drible, and nailed a step-back triple in the final second for Madrid’s win. "In the first game against Madrid we had luck on our side, this time it was on Madrid’s. That’s the beauty of basketball. I want to congratulate Madrid on the victory. We wanted to admirably bid farewell to our fans, and I think we did that. I think, in a game like this where they had a lot more motivation, we played with good energy and battled it out until the end. 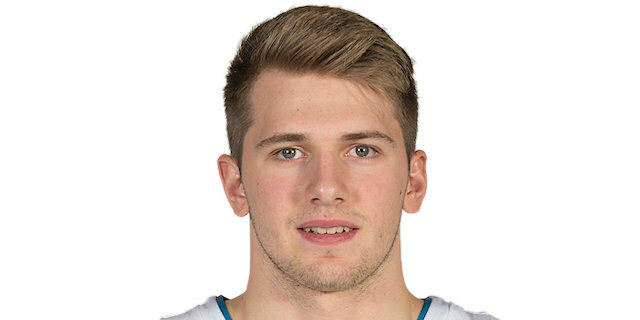 Dobric played great defense at the end, but Luka Doncic is a great player because he makes those kind of shots. We chased him around the entire game, tried to make him tired, but he still had the strength to make the most important shot in the game. 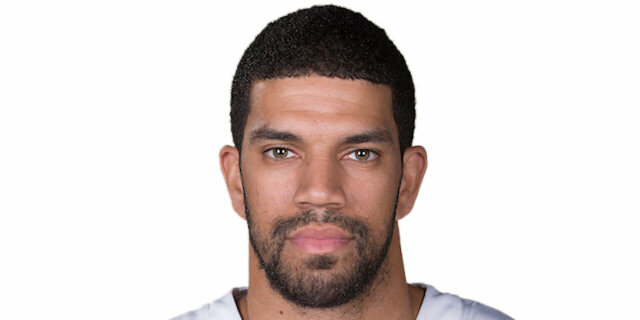 You think you partially stopped him, you look at the statistics, and see he scored 24 points, had 9 rebounds and drew 10 fouls. Congratulations to him. But also congratulations to my players for the performance. I am very satisfied with our 11 EuroLeague wins. We had ups and downs the entire season, but that is expected from this new team in this first year together. I am only sorry that we could have had more close games like this, because in such games, even if you lose the game, you win in the long run." "First, congratulations to my players for this victory and for the effort. Both games against Zvezda were tough this season. We knew it would be a hard game, even though Zvezda can’t go in the playoffs. It is my first victory as coach in this arena. We started the game very good and focused, and we had an advantage that we kept during the game. But it was hard playing without pure point guards, let’s say, even though Luka Doncic did a great job, and also Chasson Randle. But we lost a little bit of control when we did not make open jumpers, and we turned the ball over, that helped them come back to the game. But, we knew it would be a game until the end. When they looked to have a momentum after getting into the lead, we were able to stay focused, come back to the things we prepared for this game. We had open jumpers, moved the ball much better, and it came down to the last plays. Luka scored a big winning three, and in Madrid it was Pero Antic who hit a game-winning triple. I am very happy for this victory. The last play, we created space for Luka Doncic or Trey Thompkins. 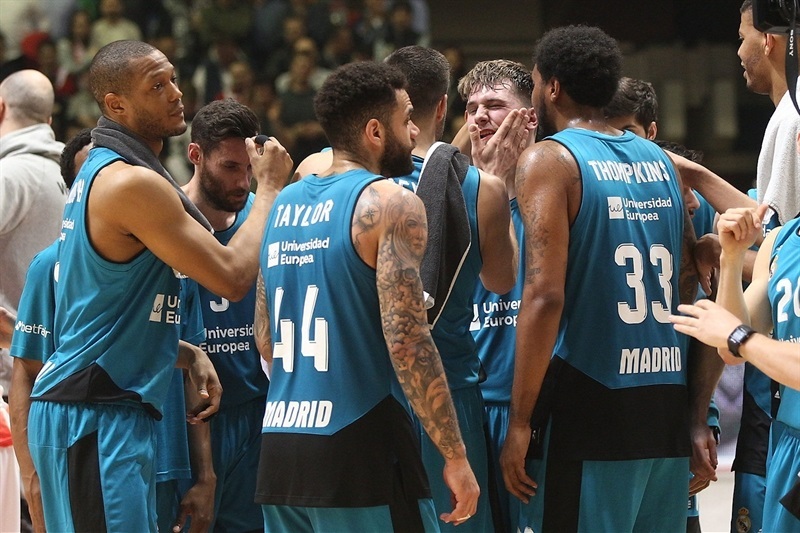 Rudy Fernandez was going to decide whether to give the ball to Doncic or Thompkins. We left Doncic a lot of space, and at that moment the coaches were finished - it’s a players’ game." "We lost, but we showed that we can play against big teams. We have big goals, this is a good preparation for (a ABA League playoffs game) on Monday. 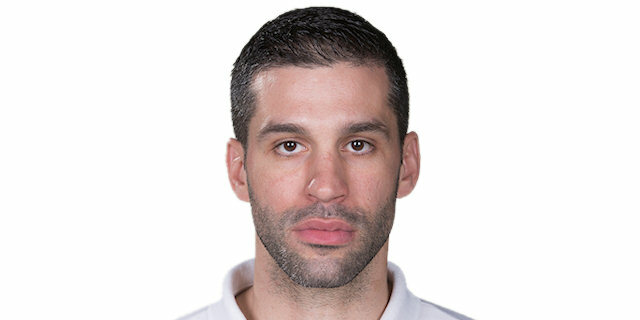 We are ready to fight, tonight we showed how fiercely we can fight against Mornar, it is like a final for us. As for Doncic's shot, I was in the corner, watching my player not to get the ball, and Doncic hit a heavy shot. He is a good player and it is unbelievable how he plays against many older players. The crowd tonight brought energy, if we play like this on Monday, we will definitely win. We have goals, this is a step forward." "We knew we played in a difficult court and that we had to fight from the beginning until the end. We knew the game was going to be dangerous for us until the end, and that's what happened - it went down to the final shot by Luka (Doncic) and that allowed us to get the win, but it is a tough court to play. What allowed us to win the game was the consistency we had from the beginning until the end, not backing down. We knew we wouldn't have the same lead all the way and in the end, it was what it was - Luke hit a shot which proves he is a player to follow. You can tell that when you play against teams with such great fans, the energy is different, and they proved it." It was a very tough game against my team, I really like Zvezda. It was a great game, and I think all the fans enjoyed it. We have one more game, and we have to win it. Zvezda has amazing players, amazing fans, we needed to stay strong until the end, and that’s what we did. It was a big win for fourth place in the standings. We depend on ourselves, so we need one more win.